I started with NPTEL in Jan 2015. It was still very early. They were gearing up towards the launching many courses. 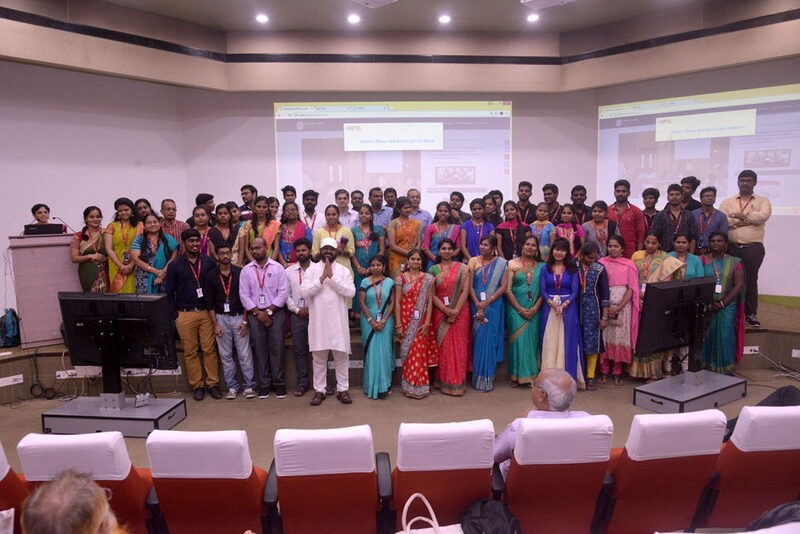 I was introduced to NPTEL by my manager as the platform that to educate engineering1 students across India by the professors from the best institutes for free. By then they had done at least two rounds and they were trying to launch 10 courses that semester. They wanted engineering help. Till then I had not heard about the NPTEL but then I was kicked to contribute considering the effect it could have on engineering students from a normal college who can’t get an elective because the college doesn’t have faculty. It’s been four years now. With 18 courses and 89045 enrolments in Jan/2015 to 269 courses and 13,30,816 enrolments in the last Jul/2018 cycle. It has been a great journey. There has been a continuous increase in the number of courses offered over the years. 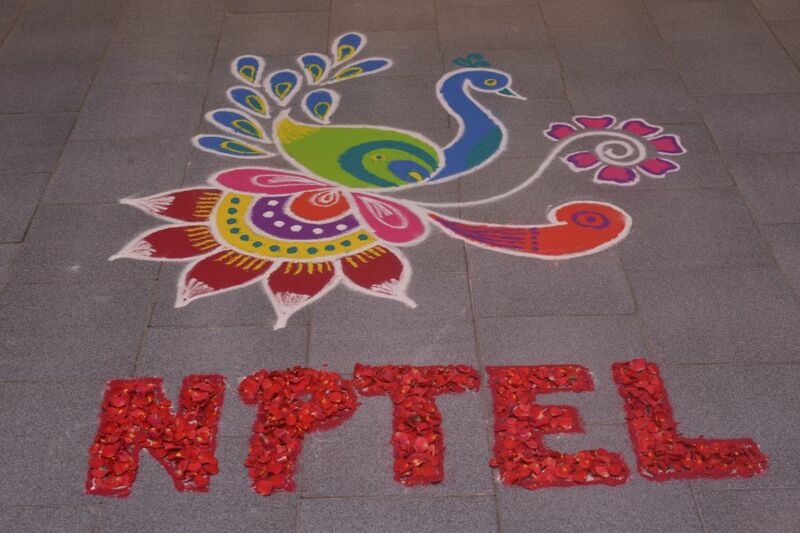 It started with one and now in the last cycle (Jan/2015) NPTEL offered 269 courses. It might cross three hundred in the current cycle (Jan-Jun 2019)2. 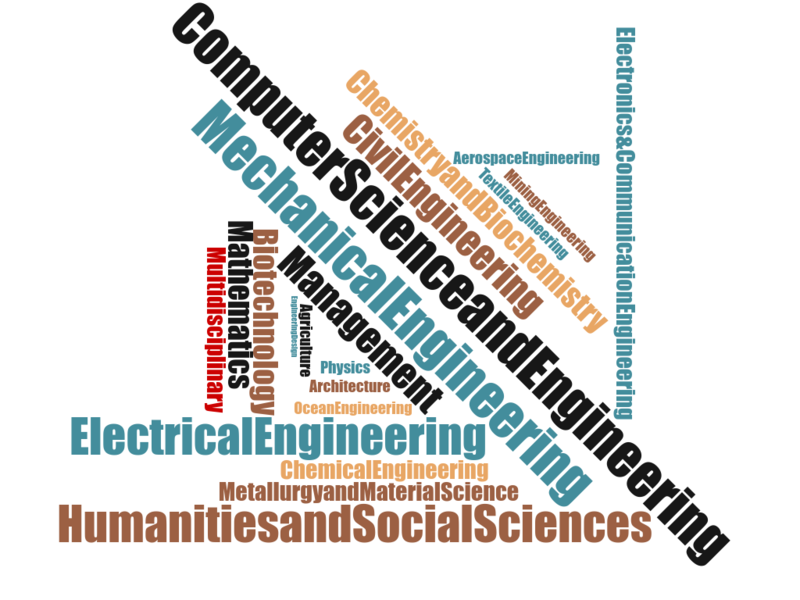 There are courses offered in most engineering subjects now. NPTEL also has added humanities, social sciences etc over the years. There has been a steady growth in non engineering courses, which personally I think is a great move. Most courses are offered by faculty from almost all IITs, IISc, CMI, Institute of Epidemiology etc. Now they have some courses from foreign universities as well (like KTH Royal Institute of Technology, Sweden). If the trend continues then the best of the best faculty will be on NPTEL. As part of NPTEL course taking, students can take a proctored test and earn certificates. It seems to be very popular among engineering students as many universities give them credits on clearing the certification. Also because fee is minimal and the exam centres are all across India. Number of students taking the exam as increased steadily. Now (July-Oct 2018) it stands at 12.12% of enrolled students. I am not sure how other MooC platforms perform in this category, but I think 12.12% is a lot and I am sure it’s not going to stop there. If you are an engineering student interested in earning credits by doing a course that is probably not in your college, then NPTEL is your best option. Here is the gazette notification on credit transfer. Get in touch with your college local chapter or NPTEL Office for more details. 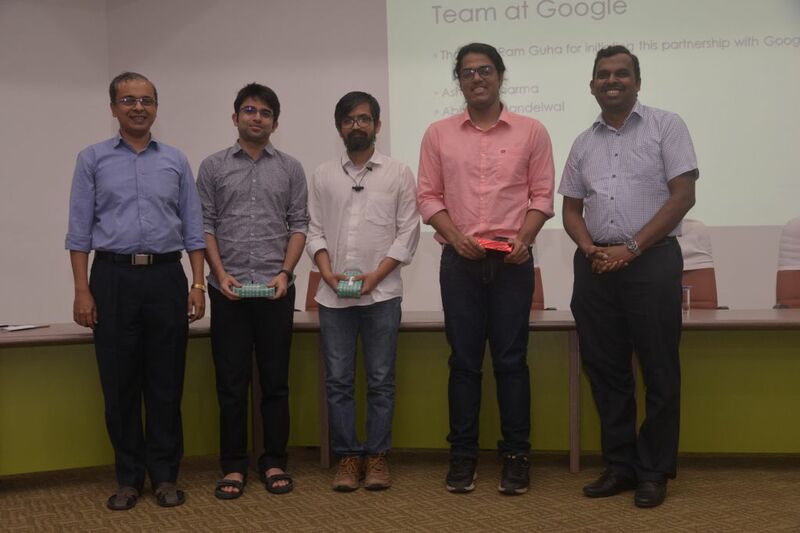 The reason for the success behind NPTEL is the team they have built and community they have cultivated. Local Chapter are kind of study clubs setup3 at colleges, headed by a faculty. They update the students with latest NPTEL initiatives, Help students take courses, manage their learning path and help them earn credits. Local Chapters also have mentors to help students locally if they face issues. Once in six months all the Local Chapter SPOCs meet at SPOC Felicitation and Awareness Workshop. This is where all the best performing LocalChapters and mentors are recognised. There are a lot of other events organised along with Local Chapters like workshops, lab visits, live sessions etc. These offline events and Local Chapters have been the biggest reason for the success of NPTEL. NPTEL tries to get courses created by Industry partners to keep the student updated with the market. They are created in partnership with faculty. These courses are very useful to working professionals too. There have been courses on block-chain, application development etc. They also have partnerships so students can take internships (with stipend) with the instructor once they complete the course. This is really useful for the students from rural area who don’t have access to labs or quality faculty. I would have loved to do this if I was a student. All mooc content including videos are available under Creative Commons Attribution-ShareAlike. Anyone can download, share and learn from the content as long as they credit NPTEL and share alike. If you are interested, you can get a copy of all the videos on a hard-disk. Well multiple hard-disks as the content size as of now is 19TB. And bring your own hard-disk :) This is really useful if you live in a area where internet isn’t great or if you like to play lectures in your class or lab on a regular basis. There is an effort to do translation of subtitles into eight Indian languages as of now. With this material and open license the knowledge should reach more and more. For the last two years I have attended their biannual spoc meetings at IITM. They do these events to recognize Local Chapters and Community. They do in all regions. 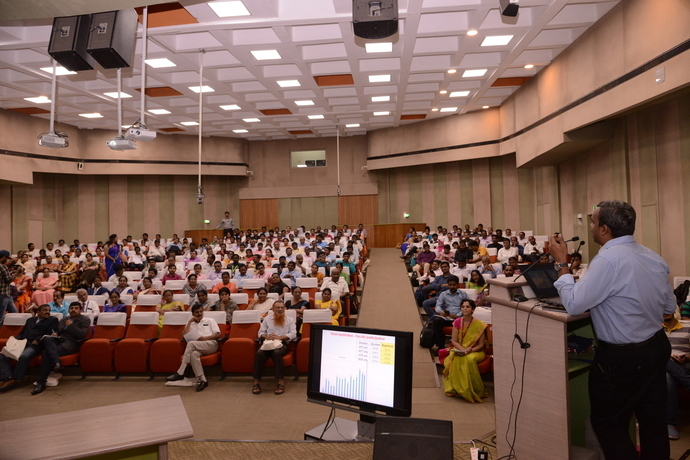 I attend the southern region spoc meeting at IITM. I started attending, just to see who is using the software we are contributing to. It makes me work better and be more empathetic. 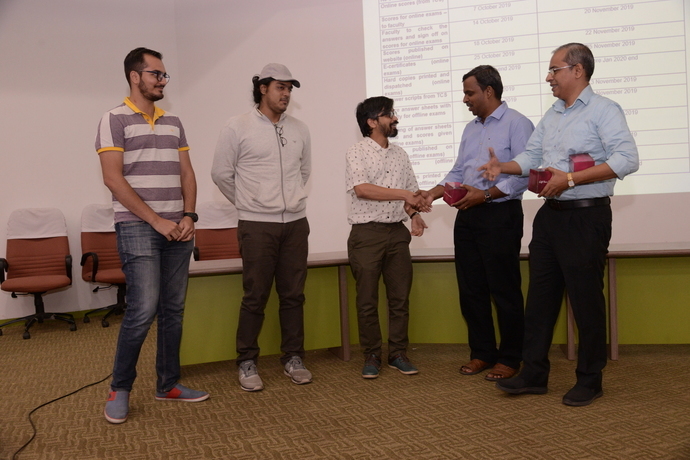 SPOC meeting at IITM in Jan/2019. It’s been four amazing years for me. This semester we are looking for more enrolments. My guess is this would be 3rd cycle where we will easily cross a million. And in future a few millions won’t be a good target. May be every other student in higher education? A big dream but very possible one. Thank you for reading and I hope you take some courses. Hi! That was a good read! I was wondering if you could also tell if these certifications are better than the ones from say edX because you need to be physically present to take the test? Additionally, would this make these courses more valid in the eyes of employers/higher education institutions abroad? Thanks! I am not sure about abroad. Here in India they are on par with certificates from your university. Universities accept them for credit transfer.